After successfully adapting Cinderella, The Jungle Book and Beauty and the Beast to live action, Disney seems hell-bent on reimagining virtually every animated film in their repertoire. Next up is the modern classic The Lion King. As expected, the cast for the new film is shaping up wonderfully. 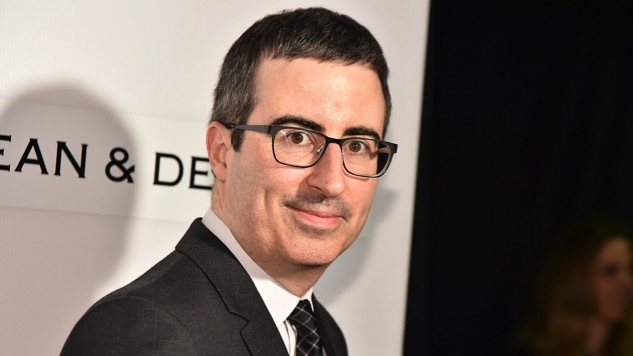 We already know the stacked stable of actors includes Donald Glover (Simba), James Earl Jones (Mufasa), Seth Rogen (Pumbaa) and Billy Eichner (Timon), but now, according to THR, John Oliver will join the team to voice the king’s advisor, Zazu. It’s actually a little surprising how perfect the casting for this movie appears to be. While Rowan Atkinson’s original depiction will be hard to top, Oliver has been steadily building his reputation as a hilarious and enthusiastic comic on his HBO show Last Week Tonight. Additionally, he’s voiced Vanity Smurf in Sony’s The Smurfs and Smurfs 2, which … may actually hurt the point we’re trying to make. Either way, from everything we’re hearing, The Lion King is shaping up to be another reliably excellent piece of Disney’s plan to take over the world and brainwash our children. The film is expected to hit theaters on July 19, 2019. Iff you have kids, go ahead and start saving now. They’ll probably want to see it five or six times.